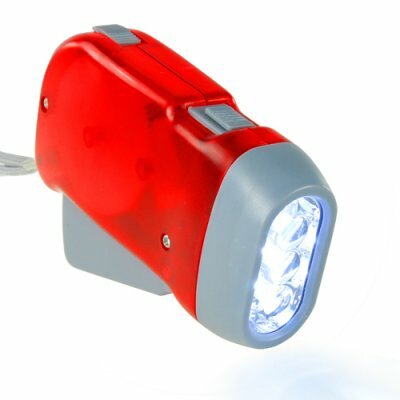 Successfully Added LED Flashlight - Environmental 3-LED Torch Light (Red) to your Shopping Cart. How is the CVFW-G21-RED an environmental product? By not needing external disposable batteries, this product keeps toxic chemicals like mercury and lead from being introduced into landfills.